I wish someone could make me an Amazon Drone so I can send you guys everything I ate here. But the birds would probably get to it first, until it gets caught in a tree for the squirrels to eat or gets hit by an airplane and falls into the sea so the fish can attack it. Never mind. But really, there needs to be a way for you guys to taste these pictures because making you guys look at these pictures is just cruel...But I'm making you do that anyway. 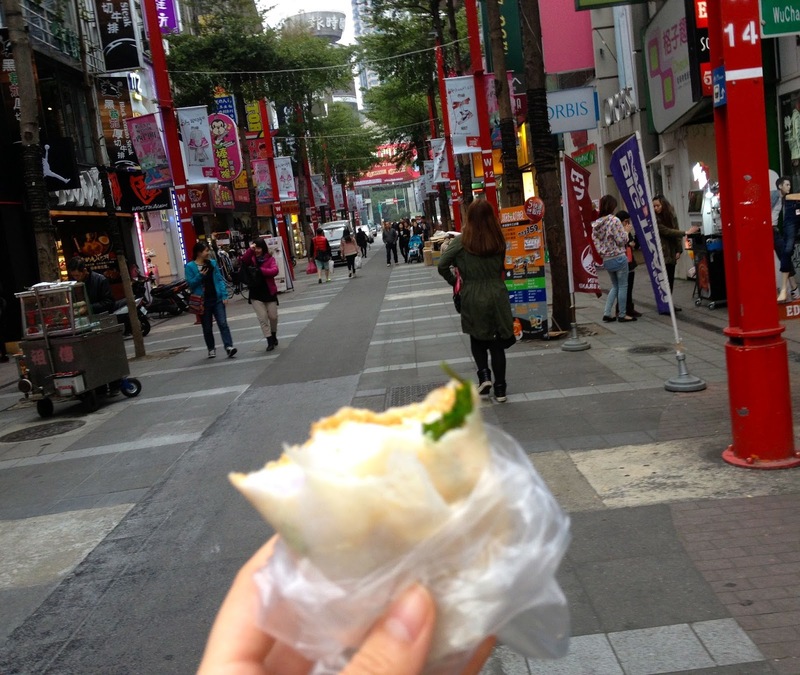 How much can a girl eat in 3 days & 2 nights in Taiwan? Don't ask. I'll show you a few things I ate. Only because I kept forgetting to take a picture of the food before inhaling it. Sorry! And yes, my stomach was begging for that Hunger Games concoction (the one that makes you throw up what you ate) when I was handed more food to eat. First world problems. 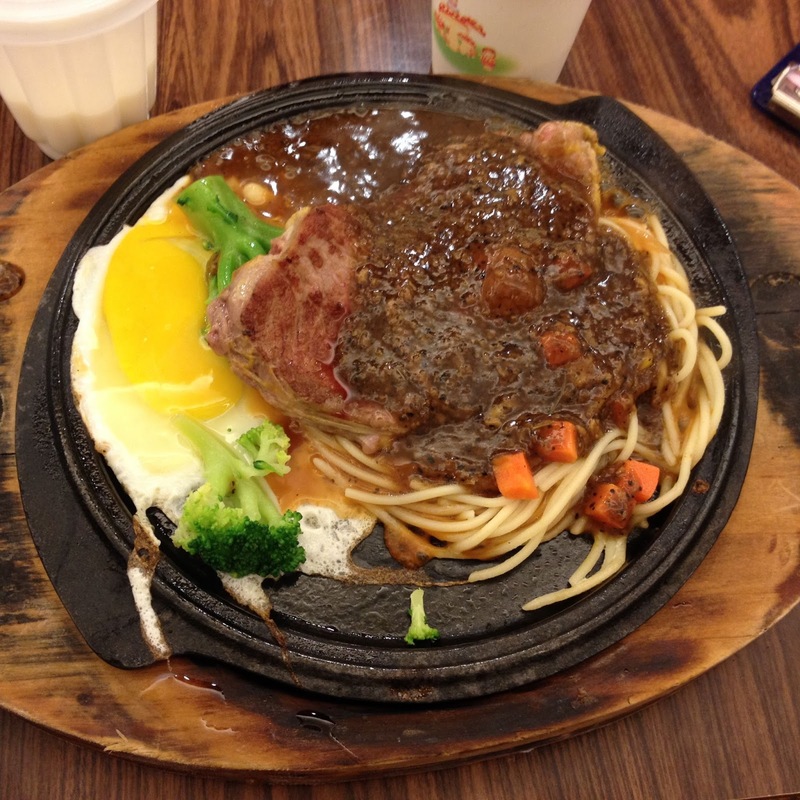 But I blame it on Taiwan being such a show off with their incredible cuisine. Really creative & flavorful food makes me one happy fatty! Dessert first. Mango Ice cream. This is the small size! And yes, that is a square cone. Oyster vermicelli! No tables or seats, but there was a crowd of people around me standing and eating the same thing. That's how good it is. 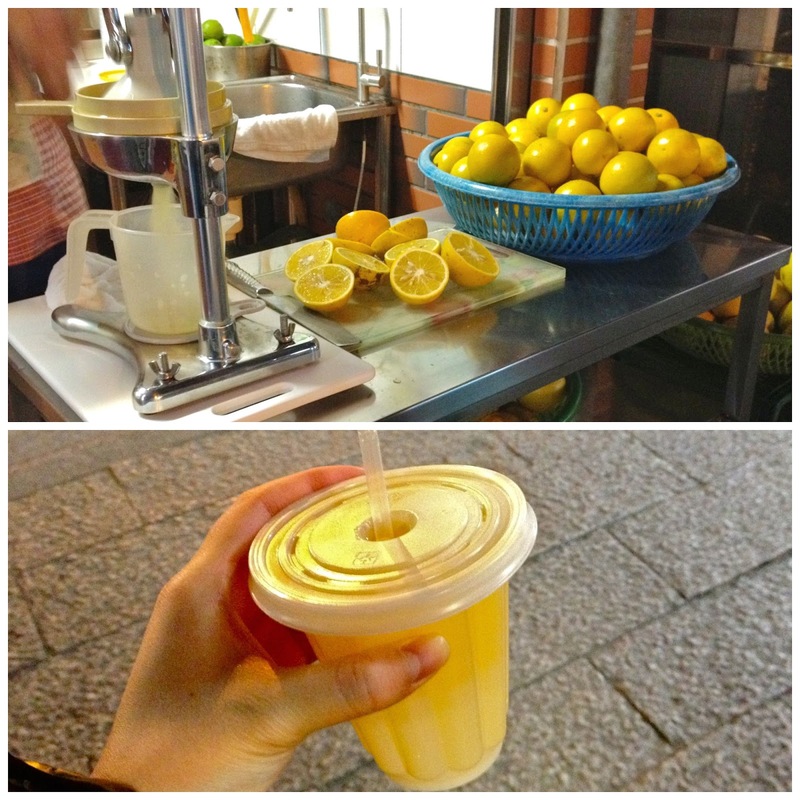 The BEST orange juice I have EVER had. 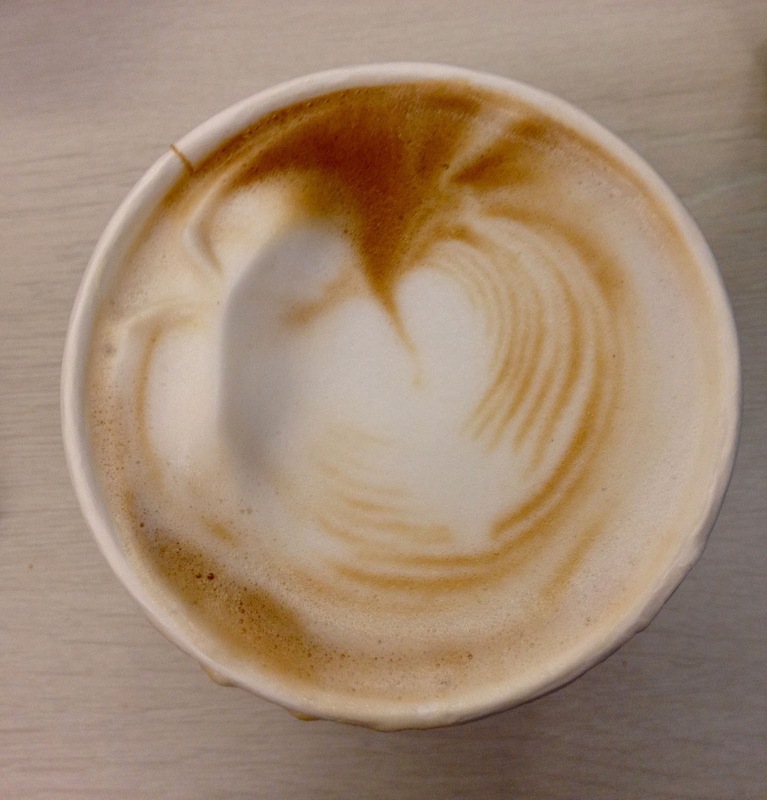 Seriously, I could drink this all day, every day. YUM. The most creative & delicious "hot dog". Chinese sausage with a sticky rice bun & pickled veggies. I could also eat this every day. 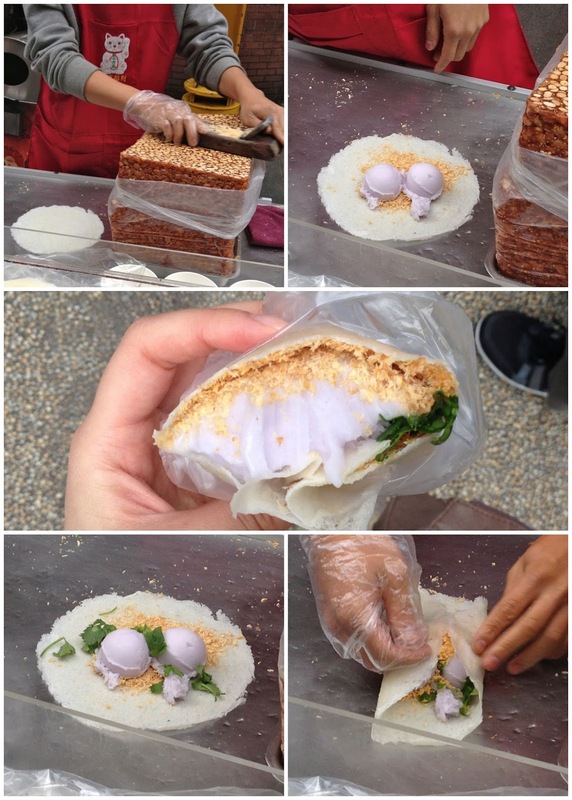 Taro ice cream, peanut brittle shavings & cilantro dessert wrap. Surprisingly delicious! 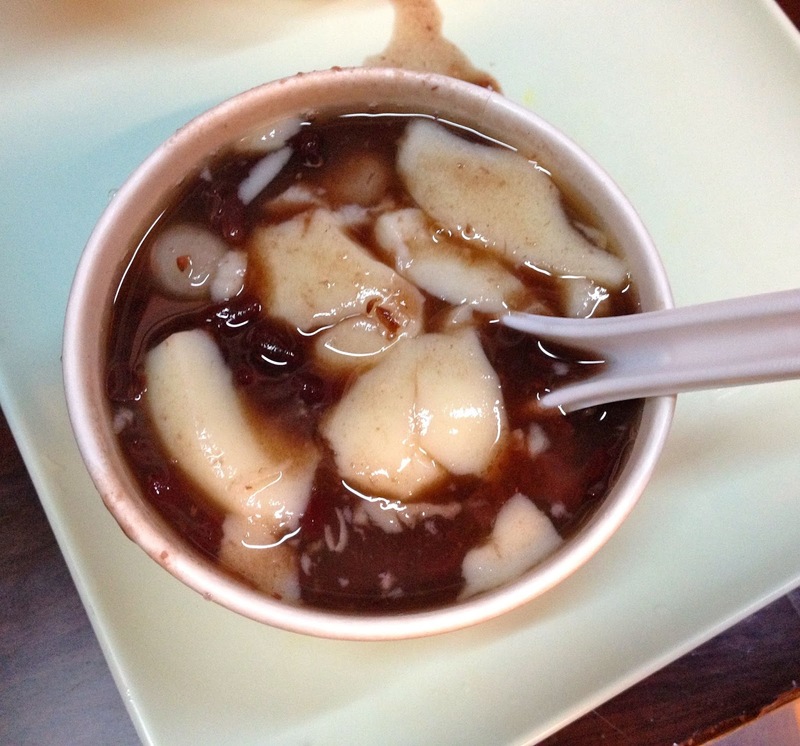 Tofu pudding with red bean dessert soup to top off the day. Super silky. Egg, bacon, lettuce, mayo, and...PEANUT BUTTER. Surprisingly, a delicious flavor mix! 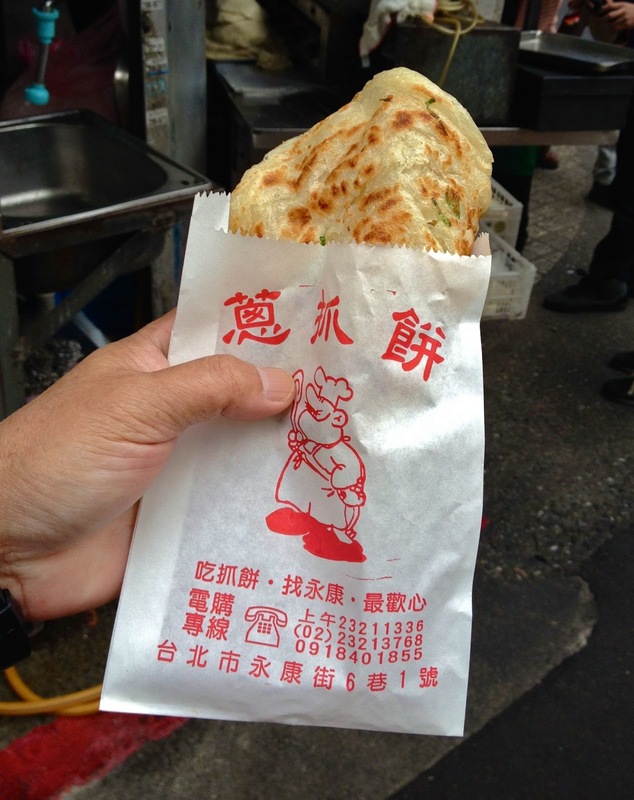 The BEST scallion pancake I have EVER had. I would also like one or two of these every day, please. Half eaten beef noodle soup (I almost forgot to take a picture!) and tofu. SO good & obviously authentic. Mr. Brown cappuccino. One of my favorite coffee brands! Shabu shabu. Basically hot pot, but I always love comfort food. 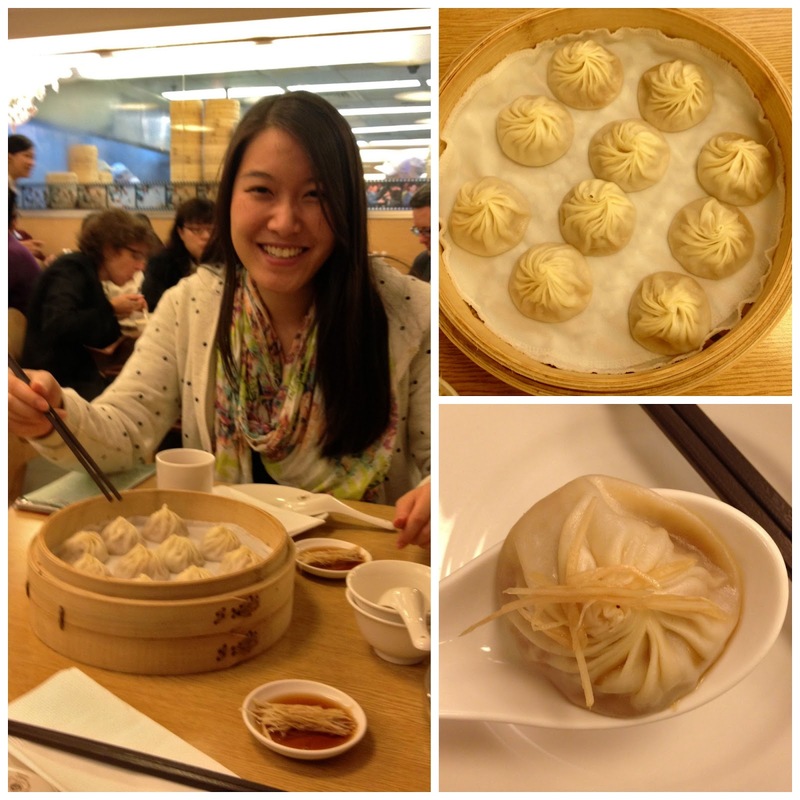 Din Tai Fung. Obviously. The best xiaolongbao (soup dumplings). I inhaled them all and I'm surprised I took the time to capture this moment, but I forgot to take pictures of everything I ate before this so I had to take these. Din Tai Fung Shrimp & Pork potstickers. 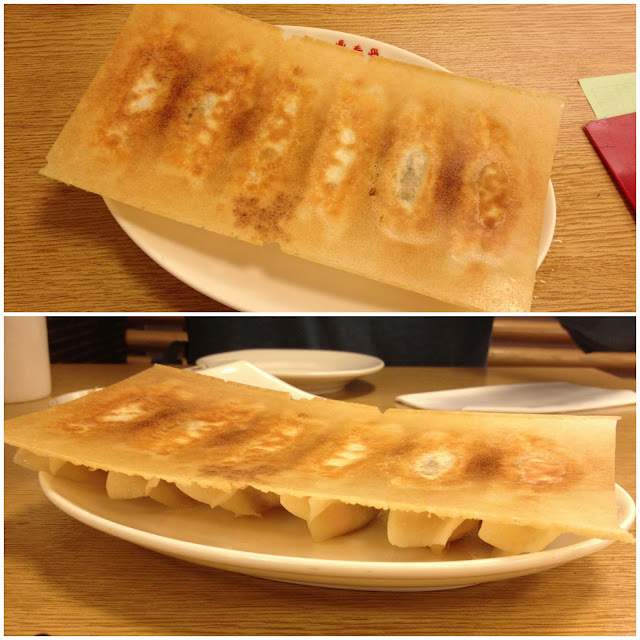 I love the crispy wonton sheet they serve it with! I've never order this, but it's seriously underrated. Must get it again next time! Sadly, not good bubble tea! 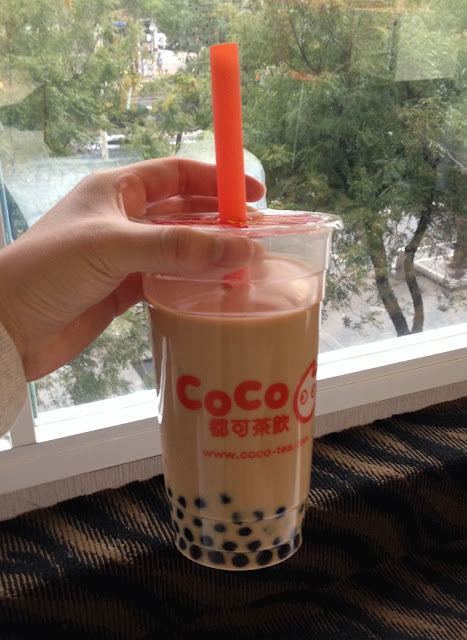 The best was from Come Buy, but I didn't take a picture since you can actually grab their bubble tea around the world (New York has a location). Last meal. 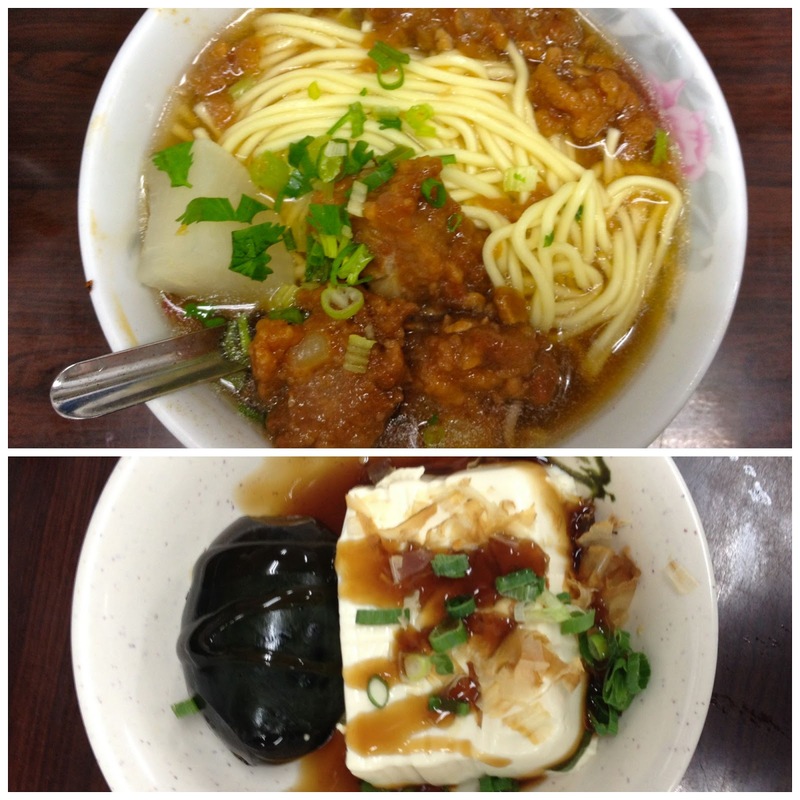 Fried pork noodles, thousand year old egg & the silkiest tofu ever. So delicious. A picture of heaven on earth. 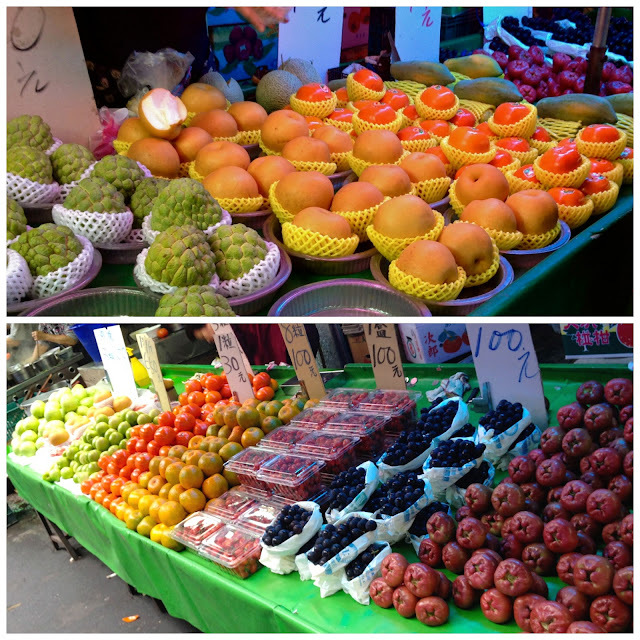 I love fruit markets in Asia. Exotic fruits are the best & full of flavor. Some of these are Foreigners Lychee (upper left) & Wax Jambu (lower right). Need to wipe that drool off your screen? Me too. 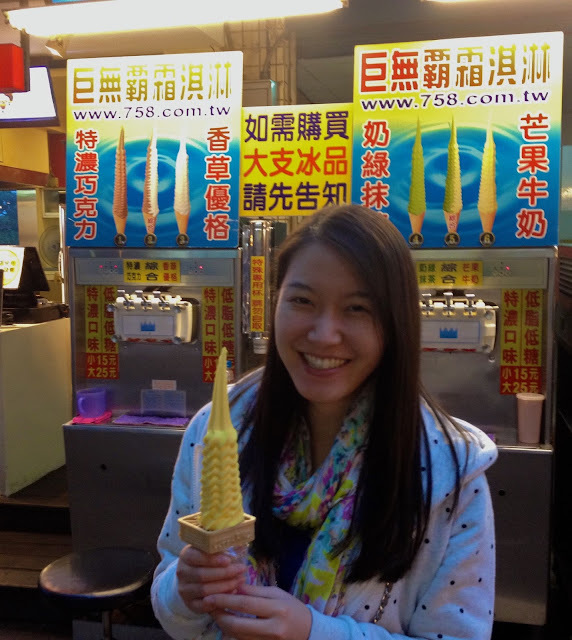 I can't wait to go back to Taiwan! 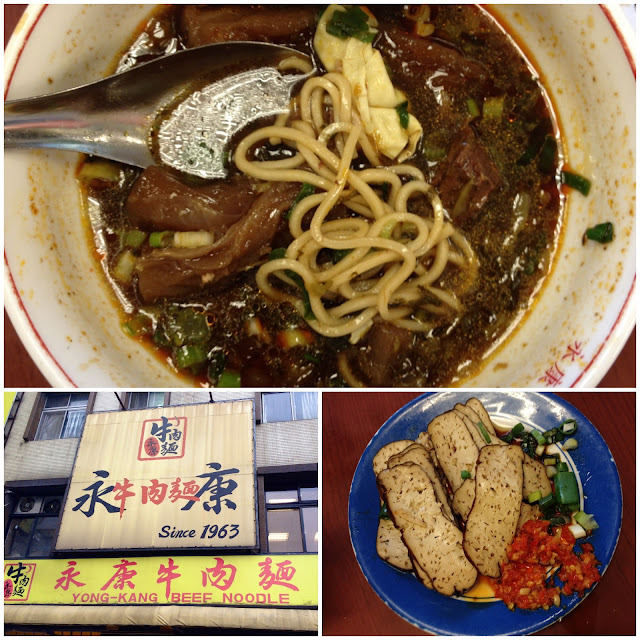 Thanks for reading & be on the lookout for my next post on Taiwan sights. UGHHHHHH. I can't even! Those look so good! 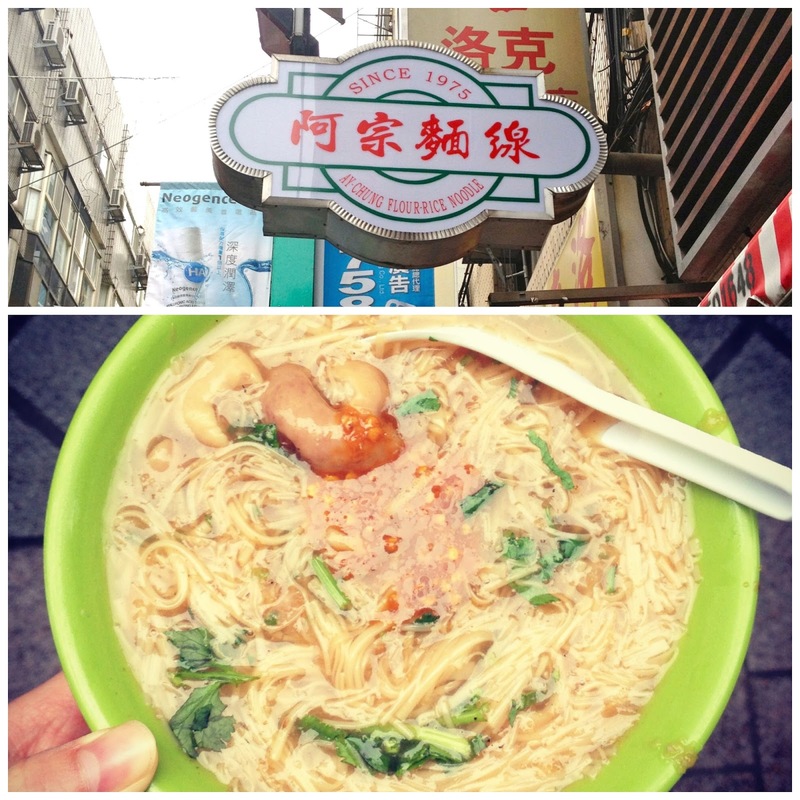 The Oyster vermicelli, the taro ice cream, and SHABU SHABU!? You're killing me. I would die for all of this food. 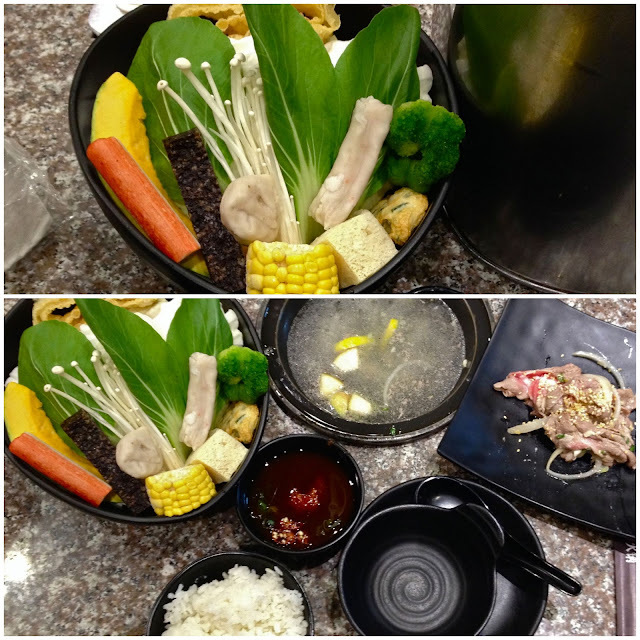 <3 I can't get any good shabu shabu around me! 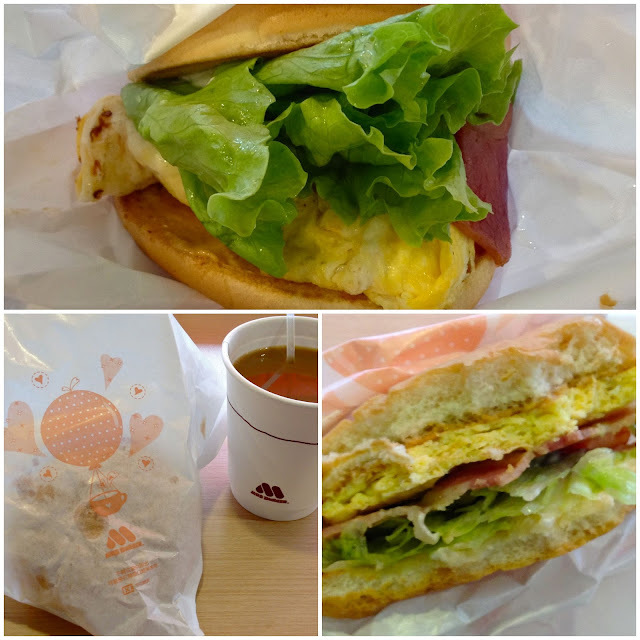 ;_; Thank God I'm going home for the holidays where there's a TON of good food. 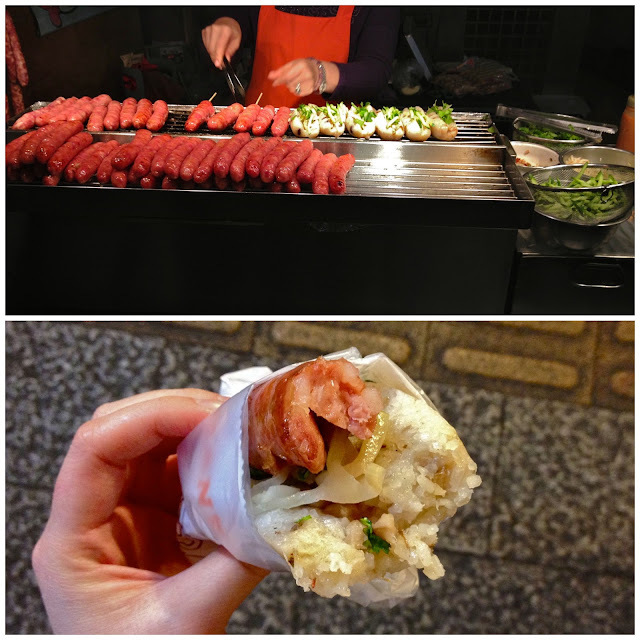 I've read that Taiwan is the heaven of street food. And you've proven that it's true. Taiwan is on top of my travel wishlist now.